The present volume constitutes a significant revision and recasting of the second volume of Professor Hollander’s magisterial The Economics of John Stuart Mill, originally published in 1985. Incorporating the latest scholarship as well as his own considered views of Mill, Hollander has produced another major contribution to the history of classical economics. His characteristic method of careful and thorough textual exegesis supports a nuanced and fair assessment of Mill’s normative thinking in light of multiple interpretive challenges. With a masterful appreciation of Mill’s theoretical and philosophical roots, Hollander draws a compelling picture of a Mill too honest to soften his critique of the British economy of his day even as he maintained his commitment to liberty and faith in competition…. The volume ends with two fine chapters that only Hollander could write, the first on Mill’s relation to the classical economists from Smith through Marx, and the second a most telling critique of Hayek’s ambivalent relation with Mill. This is a book not only for scholars, but also for politicians, advisers and citizens interested in what it means to make policy out of economics. This wonderful book is vintage Hollander — immensely learned, deeply insightful, and eminently readable. 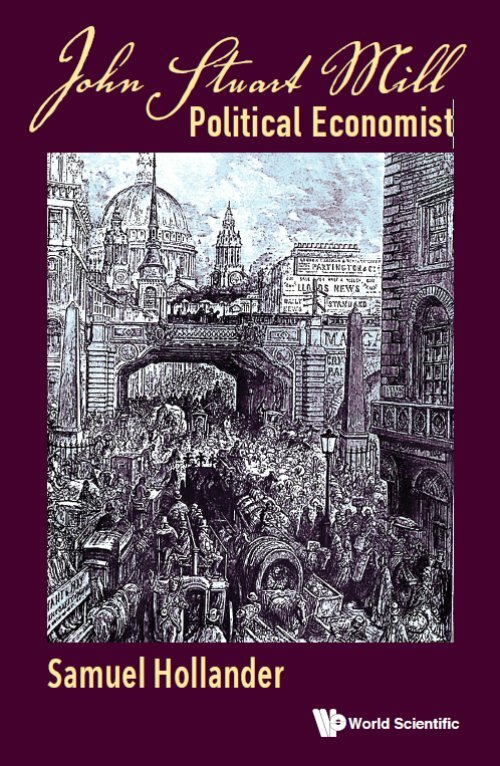 Professor Hollander, a towering presence among those engaged in studying the history and legacy of classical political economy, here revisits the character and significance of Mill’s position on fundamental issues of economic policy…. To his reconsideration of Mill’s policy analyses and prescriptions Professor Hollander brings a tireless and penetrating intellect that executes a formidably thorough inquiry into all aspects of Millian economic thought in its bearing on problems of policy…. John Stuart Mill: Political Economist will be welcomed as the crowning achievement of Professor Hollander’s decades-long encounter with the economic thought of J.S. Mill. This compelling, exhaustive account guides us through Mill’s collected writings as well as an extensive secondary literature in providing a brief but penetrating guide to the policy-oriented elements of Mill’s economic ideas. Hollander aims to restore Mill’s “Principles” to the center of our interpretation of his oeuvre, and to reposition Mill in light of the other leading contributors to political economy of his epoch. The best available introduction to the subject, this book will be welcomed by readers across the humanities and social sciences. Hollander remains one of the giants of Mill studies alongside his own hero John Robson. This book is insightful, authoritative and important. Jaded scholars of J.S. Mill will be refreshed by it and all serious students of Mill and of nineteenth and twentieth century British history and political, social and economic thought should relish it. I cannot recommend this book highly enough.